Today we are going to attend another of Sara' s cooking classes and this time she will teach us how to make the famous tiramisu dessert. We will have to follow the recipe step by step to achieve an optimal result with which to impress our teacher. They will evaluate us in parts and that is that we will have to carry out three elaborations, which will count as if they were three levels. In the first one we prepare the coffee, in the second the mascarpone cream and, finally, we have to assemble the tiramisu. Follow the steps one by one and get a great score in each phase of cooking to get a great final score. We are going to make tiramisu with the delicious recipe of the famous cook Sara. 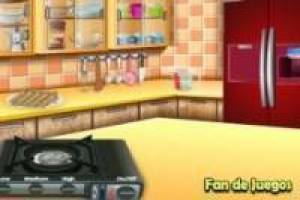 Enjoy the game Cooking tiramisu, it's free, it's one of our kitchen games we've selected.